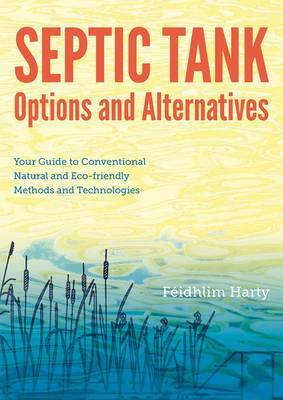 Septic Tank Options & Alternatives by Feidhlim Harty is a user-friendly guide through the maze of selecting an eco-friendly sewage treatment option for your home. With so many different treatment systems and technologies available, it can be a challenge to make the choice that really reflects your values and priorities. This book lists conventional and alternative sewage treatment systems and outlines the pros and cons of each in a straightforward and non-technical way. Septic Tank Options covers The Environmental Protection Agency (EPA) approved systems, plus innovative sustainable solutions, and also proposes alternatives where site and soil conditions are suboptimal. This book is a must for anyone worried about how well their current system is working, for people undergoing inspections, or for those who know they need an upgrade but don't know where to start. It is an invaluable guide for architects and engineers who are guiding clients through the options available, and gives treatment options that may be less costly, less energy intensive and more eco-friendly than an inspector may propose. It covers: Initial check - assessing your current treatment situation, Making good - examining the potential for repairs and improvements, Taking stock - looking at your site characteristics, priorities and personal preferences, Options available - different treatment systems explained, Putting it into action - planning, implementation and maintenance. If you want to be proactive about getting your system working and make sure you have as eco-friendly and cost effective option as you can, then this holistic overview is the book to read.